Bollywood music channel 9XM is all set to unveil a brand new property—9XM On Stage which will celebrate the best of Bollywood music through large scale live events. 9XM On Stage partnered with Salim-Sulaiman for a tribute to the Indian Armed forces. The pro-gramme will be telecast as an 1-hour concert on 9XM at 7pm on February 9 and on 9X Jalwa at 11am on February 10. The special episode will feature popular tracks played by Salim-Sulaiman at the concert along with performances by singers Jonita Gandhi, Raj Pandit, Vipul Mehta and the Manganiyars from Ra-jasthan. The performers had the audience dancing on some of the best Bollywood music. The event was at-tended by around 3,500 people from the Indian Armed forces and their families. 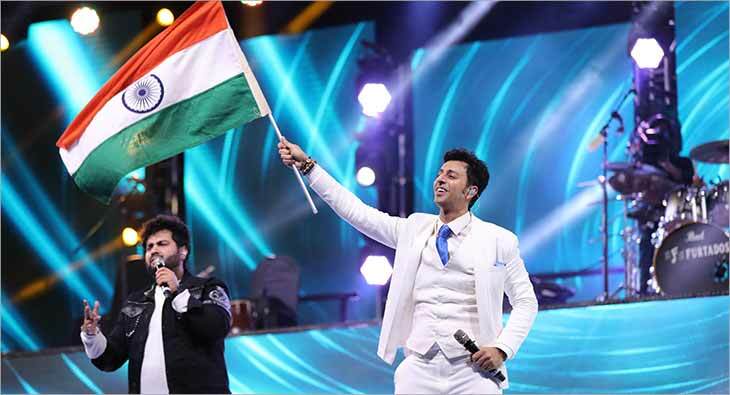 Speaking about the concert, composers Salim and Sulaiman said they were honoured to present the musical night for the armed forces and their families. The 9XM On Stage episode will feature tracks like ‘Kurbaan Hua’, ‘Haule Haule’, ‘Mar Jaawaan’, ‘O Re Piya’, ‘Dance Pe Chance’, ‘Chak De’ and many more. The special episode will be promoted across 9XM and 9X Jalwa. The promotions also include Radio spots and screens branding at multiplexes across Delhi Mumbai. The episode will also be promoted across social media and digital platforms.